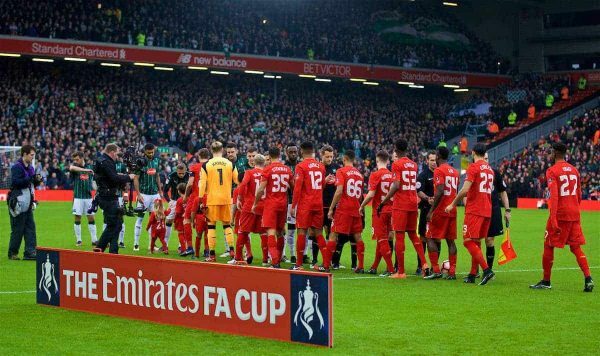 Despite claims of the FA Cup‘s continued importance, this should not apply to a Liverpool side in the midst of a Premier League title race, writes Scott Swanson. A strangely hilarious but defiant reference to the waning importance of the cup, as the modern game slowly moves on placing more emphasis on the Champions League and Premier League than the history and romanticism of the world’s oldest national cup competition. 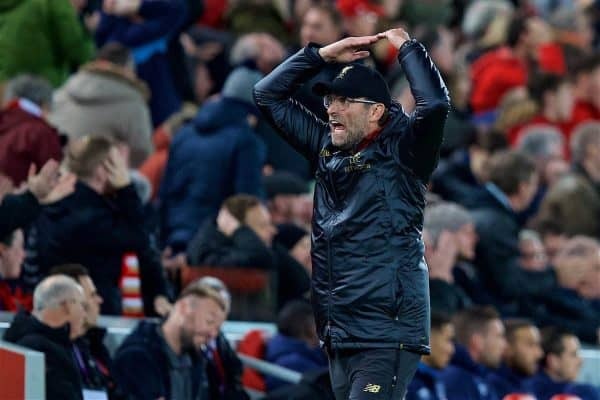 Rival supporters and the media seem to fetishise reminding Jurgen Klopp, and Liverpool supporters for that matter, that we have won nothing in the German’s three years at the club. As if Klopp, who won two Bundesliga titles and Germany’s domestic cup during his time at Borussia Dortmund, hadn’t given much thought to the importance of silverware. Liverpool kickstart their FA Cup campaign tonight, returning to Molineux to take on Wolves—the side who knocked the Reds out of this very competition in 2016/17 on their way to finishing 15th in the Championship, before gaining promotion last season as champions. Five days after the United victory we went to Molineux for the first time this season, contesting a hard-fought 2-0 away victory where the winter weather and a well-drilled and defiant Wolves side conspired to rain on Liverpool’s parade literally and figuratively. The Reds came out winners as we know, but the result was far from a given until we went two goals ahead. 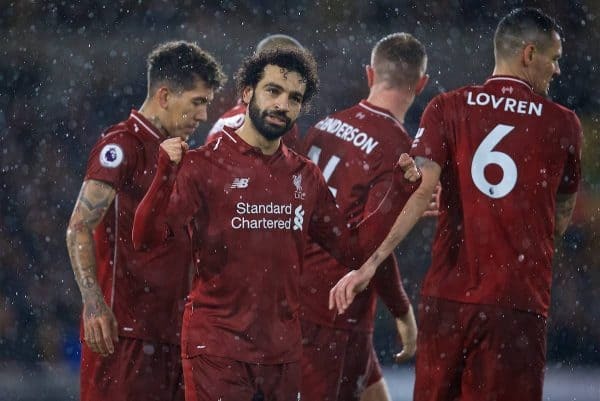 Wolves vs. Liverpool is the marquee clash of the third round, and if the home side plays like they did two weeks ago, it would take a similar level to see ourselves progress to the next stage. This season’s FA Cup, much like the League Cup, has been presented as the surest route to end our trophy drought. This line of thinking isn’t the sole property of this campaign. I’d contend it’s been earmarked every season as our best shot at silverware, along with the League Cup; the shiniest trinket a progressing, but an unfinished, article like Liverpool could hope to obtain. It’s no secret much of our suffering as supporters of late is down to aspirations never quite being in line with the team’s ability on the pitch, so is the weight and breadth of our trophy cabinet that we would often gloss over our own shortcomings because we had historical supremacy on our side. However, when the league is usually out of reach by January, the third round of the FA Cup tends to conjure the romanticism of this historic trophy on Merseyside once again. January tends to hit like a dose of reality and we turn our attentions to the obtainable; it’s a practice in moving targets and acceptance. As the Reds travel to the West Midlands, my question is: should we care? Should we let the words of the advert telling us not to “diss the cup” fall on deaf ears? If I had my way, I’d already have had the FA Cup out in the bin with the rest of the rubbish. That is the gravity of this moment we find our great club in; the opportunity to collect our first league title in 29 years cannot be derailed by the competition that sits permanently third place in the trophy hierarchy. After an improbable run to the Champions League final last year, hope began to spring eternal for the 2018/19 campaign despite coming up short in Kyiv. Our eyes saw the telling signs on the pitch months before that this side was on their way to challenging. Albeit with the lingering thought of: how could we hope to overcome Man City, who just set the Premier League record for points with 100? Well, we’ve answered that one, aye? 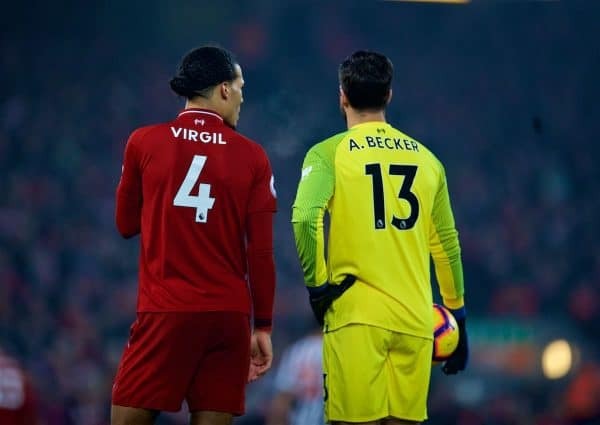 By adding the best goalkeeper in the league to anchor the best defender in the world, coalescing to create the best defensive record in the Premier League. By having the club’s best-ever start to a campaign—not just in Premier League history, the best start since we’ve been playing association football. That’s how we’ve overtaken the infallible darlings, City. Simply by being better. But as we all know the work is not done, we’ve not reached the summit of our Everest. These stats make for great media fodder and parlour talk but are meaningless come May. Liverpool sit 17 matches away from the promised land of Premier League glory, and I ask you: why should I even bother with the FA Cup when the Premier League trophy is within our sights? 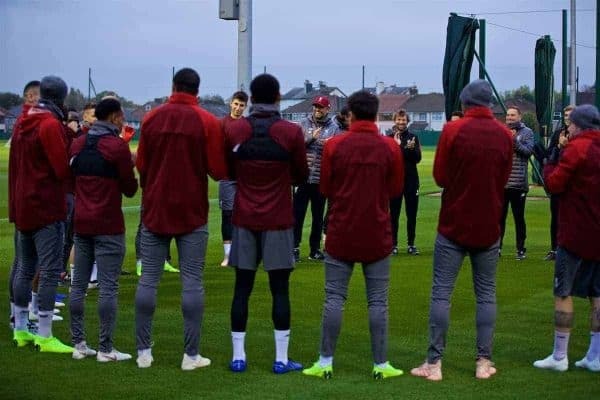 Liverpool has proven during Klopp’s reign in Champions League, Europa League and League Cup runs that we can make it deep in knockout competitions, having reached the final in all three. But do not forget that in only one of those runs to the final did we finish in the top four. Almost as if turned up for a bit of dessert but didn’t make it in time for the main course. We are often reminded of Liverpool and Klopp’s shortcomings in those finals, so the FA Cup could represent an opportunity to get the proverbial monkey off our back and potentially silence sects of the media and rival support. As nice as a FA Cup trophy would be, would it silence our rivals? I would say no. What if the added fixtures compiled to see us fall short in the league? In no way am I trying to disrespect the FA Cup. We could well fall short in both, and winning one trophy doesn’t preclude you from winning another. Only a fool would turn their nose up at the opportunity of lifting the world’s oldest trophy, and that’s the crux of BT Sport’s advert in my opinion. It still means something and it should to every club. 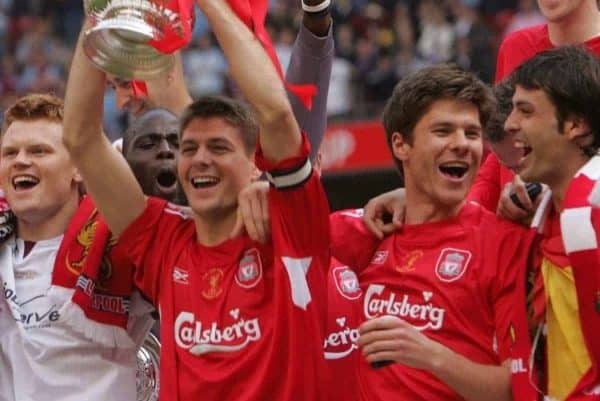 In Makes Us Dream, the recent documentary on Steven Gerrard, the legendary captain tells his entire football journey from boy to Liverpool hero, with much of the documentary focusing on his glory in Istanbul and his near miss in 2013/14, and the turmoil it caused Steven in its aftermath. His fantastic strike and victory in the 2006 FA Cup are a mere highlight in his own documentary. Context is key. We all enjoyed that day at Wembley, but the FA Cup trophy does not a legend make. Truth is, this Liverpool supporter only has his sights set on one competition this season. I’m sure I’m not alone. Simply by doubting its importance to this year’s Liverpool side is meant to underscore how far this club has come. We have the most realistic shot of winning our first elusive Premier League crown. We have a deeper squad than the two times we finished second in the last decade. So, let’s see what they can give us Monday night. Leave the front three at home and let Alisson and Virgil look after them, making sure they are wrapped in cotton and in bed on time. Hopefully, somebody tells Gini the wrong bus departure time for good measure. Those six are due a rest and if it means they get eight days off between matches and the Reds are knocked out of the FA Cup then so be it. Greater honours are within our grasp; the opportunity to end 28 years of almosts and frustration come May. If that’s the case remember: it’s just the cup after all. * This is a guest article for This Is Anfield. If you’d like to contribute a piece for consideration please see this page. Follow Scott on Twitter, @AtoptheKop, and Facebook here.